It’s Spirit Week at East High, and everyone’s really excited. There are costume days, a pep rally for the basketball game, and the crowning of the Spirit King and Queen. But best of all will be the dance, because the girls get to ask the boys along! 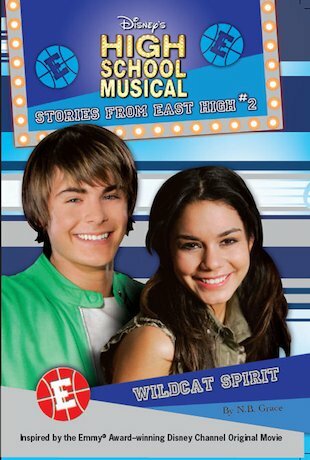 Gabriella is planning to ask Troy, but Sharpay advises her not to look too eager. After all, she doesn’t want to look desperate, does she? Meanwhile, Troy is fending off invitations left and right, and wondering why Gabriella hasn’t asked him yet! But when Gabriella overhears something her mom says on the phone, she is too devastated even to think about the dance. Could it be that they’re moving again? Gabriella is so happy at East High. Would her mother really take her away from all her friends? This is rubbish , do not read it. It is really funny. Sharpays hat is soo wierd!